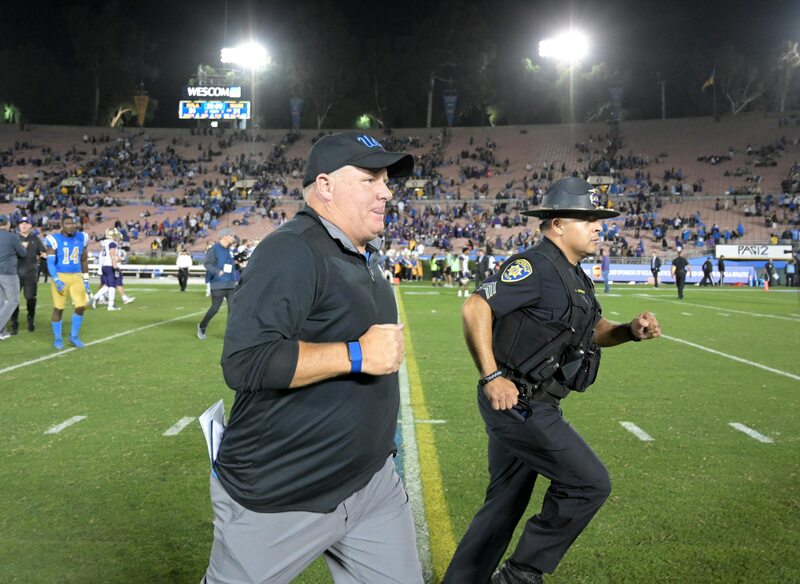 UCLA fans were ecstatic when the football program landed Chip Kelly. After a 0-5 start to the season, fans will have a new reason to celebrate after Kelly picked up his first win with the Bruins. Concern started to set in after five consecutive losses, but it appears all the Bruins needed was an in-state battle against the California Golden Bears to turn things around. The Bruins dominated this game from start to finish as they jumped out to an early 13-0 lead at halftime. While he Golden Bears cut the lead to single digits midway through the third quarter, UCLA quickly answered to retake its 13-point lead. Cal’s touchdown would be its lone score of the game as UCLA’s defense would step up in the rest of the second half and cruise to a victory in an all-around dominating performance on every side of the ball. Following UCLA’s 37-7 blowout win over the Golden Bears, Twitter erupted as Chip Kelly picked up his first win in over five years. For the first time in 2,109 days, Chip Kelly has won a college football game. Chip Kelly is a few minutes away from winning a college football game for the first time since Jan. 3, 2013. UCLA has gotten better every week this season and are SO much better than they were to start the year. This was always going to be an ugly season, and only one win is rough, but it’s getting easier and easier to see Chip Kelly making good on the hype in the next couple years. Welcome back to the college football win column, Chip Kelly. #UCLA is en route to notching its first victory of the season, and the former Oregon head coach will have his first collegiate win since 1-3-13 against K-State in the Fiesta Bowl.